This year, I decided to go to the Fan Expo in Vancouver. I am not sure if it was the wisest choice, as it was sandwiched between two final exams (I actually could not go on the first day because it was ON the day and time of one of my exams), but it was definitely fun and I am excited to see how the expo will grow in the future! Vancouver’s Fan Expo is quite new, and has a while to go before it can catch up with many of the other conventions out there, but it was very promising. 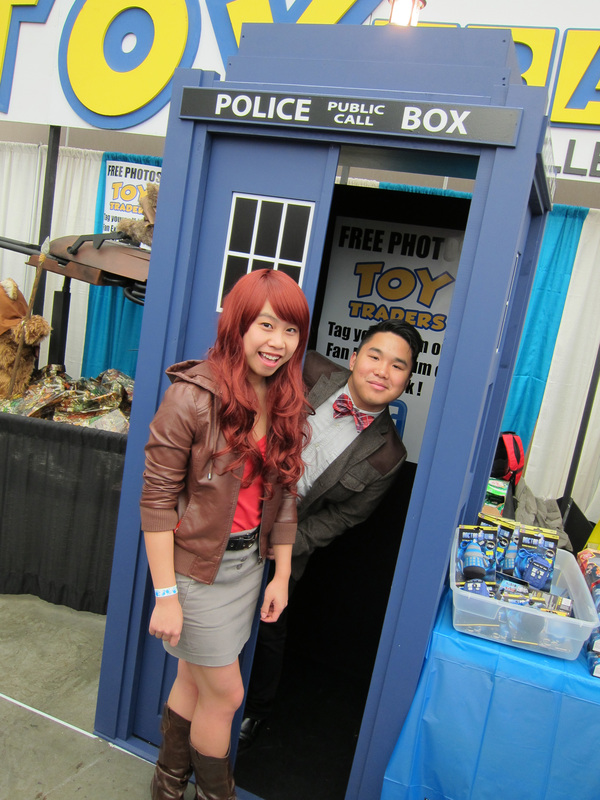 I cosplayed as Amelia Pond from Doctor Who, and my friend cosplayed as the 11th Doctor. 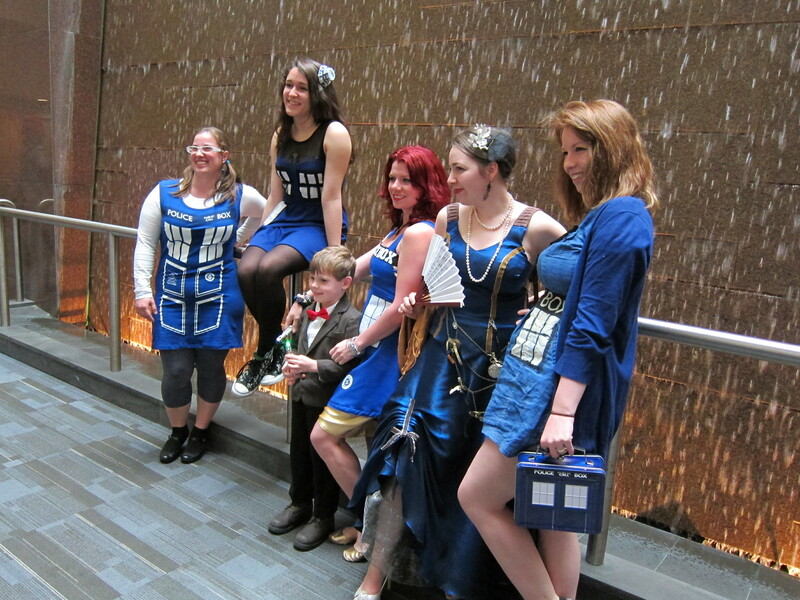 At one point, we met several other Doctor Who cosplayers who told us that they were going to do a Doctor Who photoshoot at two o’clock, and invited us. The photos were fun, and around thirty of us showed up–all doing a bunch of silly poses. The expo’s floor was not too big, taking up Halls B and C at the Vancouver Convention Center–if I am not mistaken, but it was packed with vendors and there was an artist alley. Celebrity guests included Stan Lee, Michael Rooker (from The Walking Dead”), Nichelle Nichols (Star Trek), Sean Astin (from Lord of the Rings), and the whole cast of Continuum. 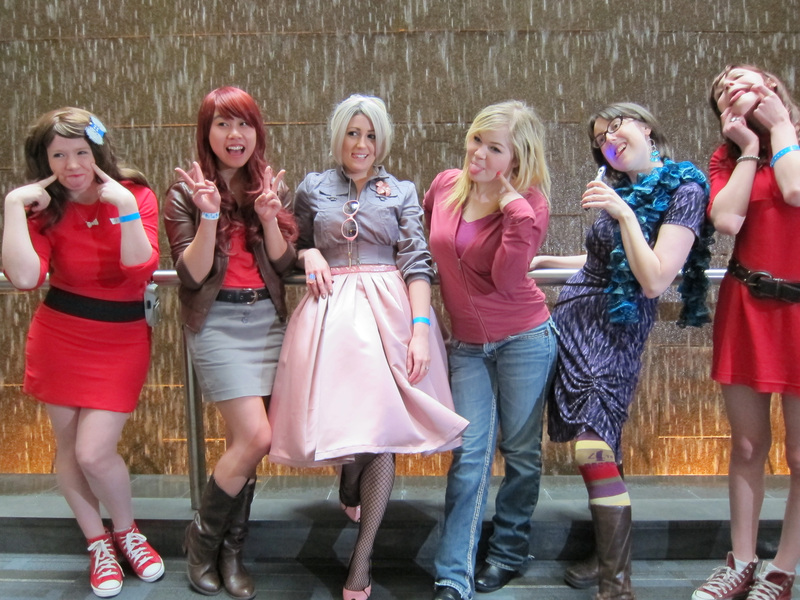 I really like conventions because I love looking at cosplays. I admire how you can see how much effort people put into their costumes, and when they stay in character during the whole con, it makes things that much better. 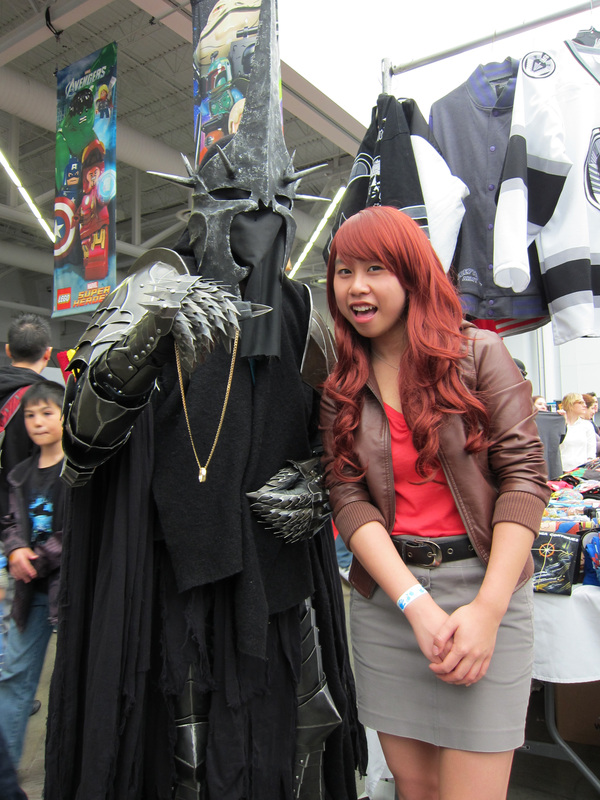 At the Fan Expo, I would say around 50% of the people there were in costumes? Not a bad turnout! Here are some random pictures from my adventures that day! 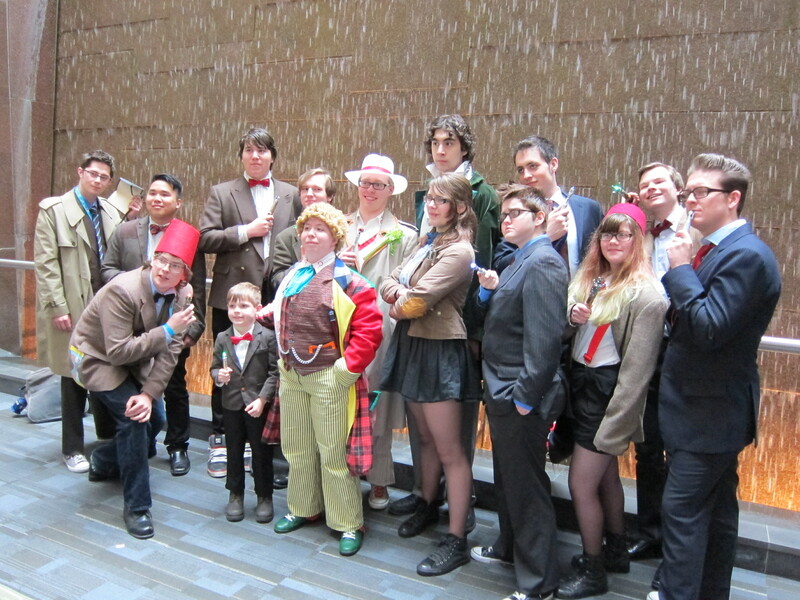 Pics from the Doctor Who photo shoot from my camera– which explains why no one’s looking at the camera. And of course, all the doctors! 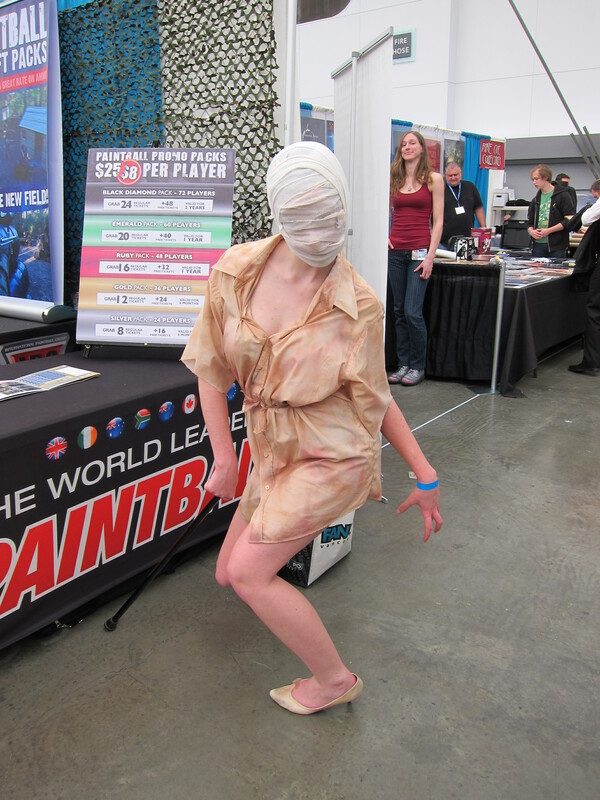 A cosplayer cosplaying a nurse from Silent Hill. She limped around the whole con the whole day. Props to her for her dedication!! If you live in Vancouver, keep an eye out for the Fan Expo next year! You may want to check this out! Downtown Vancouver Chapters Board Games Night! Super! Cons are the best fun! Yes!!! So addicted to going to them!